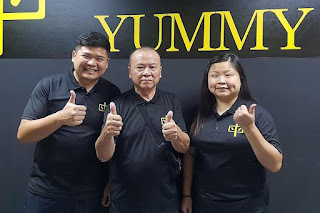 It all started in 2013 when four best friends decided to set up a door-to-door food distribution network to give out free vegetarian food to needy elderly residents in Chinatown. Today, Mummy Yummy - which runs three food stalls, at Shenton House, Ang Mo Kio and Tampines - distributes free food at least once a month to 159 rental blocks in Singapore. About 30 beneficiaries receive daily food aid from the organisation. So far, Mummy Yummy has distributed food to 6,189 households, amounting to 14,873 beneficiaries. About 15,500 packets of food have been given out.